John F. Kennedy, the 35th President of the United States, attended several prestigious private schools throughout his childhood. Starting his education in Massachusetts, President Kennedy went on to attend some of the top educational institutions in the country. 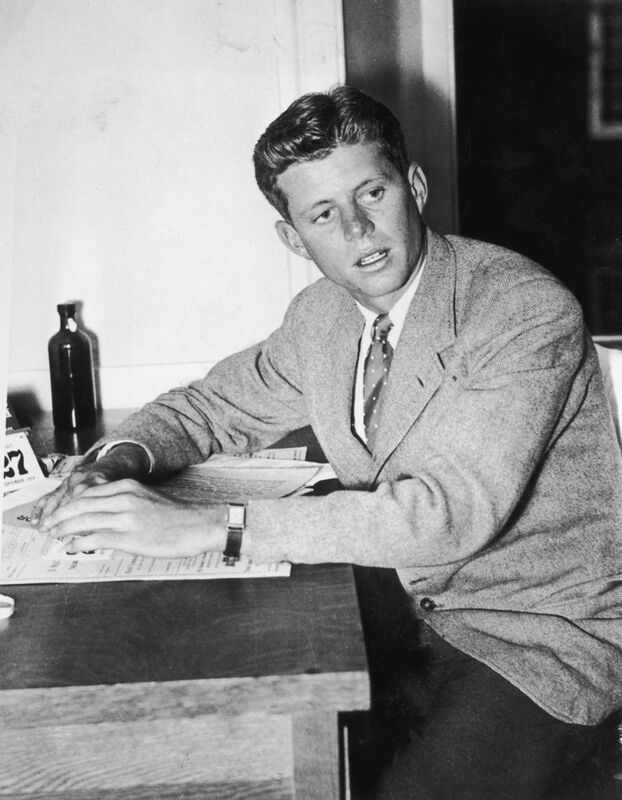 Born in Brookline, Massachusetts, on May 29, 1917, JFK attended the local public school, the Edward Devotion School, from his kindergarten year in 1922 until the beginning of third grade (though some historical records state he left earlier, school records show that he studied there until third grade). He was also suffering from occasional poor health, partly as a result of having had scarlet fever, which was potentially fatal in those days. Even after recovering, he suffered from mysterious and poorly understood illnesses for a lot of his childhood and adult life. After apparently starting third grade at the Edward Devotion School, Jack and his older brother, Joe, Jr., were transferred to the private Noble and Greenough School, in Dedham, Massachusetts, in part because his mother, Rose, had given birth to several more children, including a daughter named Rosemary who was later recognized to be developmentally disabled. Rose felt that Jack and his older brother, Joe, were running wild and that they needed more discipline, which Noble and Greenough could provide. At the time, the Kennedys were one of the few Irish families to attend the school. Most of the students were Protestant, and there were no or few Jews. After the lower school at Noble and Greenough was bought by developers, Joe Kennedy, Jack’s father, helped start a new school, the Dexter School, a boys’ school in Brookline, Massachusetts, that now educates children from pre-school through 12th grade. While at Dexter, Jack became the pet of legendary headmistress Miss Fiske, who took him on a tour of the historical sites in Lexington and Concord. 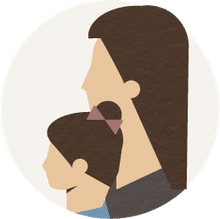 After a polio epidemic broke out, Rose, ever fearful for her children’s health, decided they needed a change, and the family moved to the financial capital of the country, New York. After moving to New York, the Kennedys set up their house in Riverdale, an upscale section of the Bronx, where Kennedy attended Riverdale Country School from 5th through 7th grade. In 8th grade, in 1930, he was sent to Canterbury School, a Catholic boarding school founded in 1915 in New Milford, Connecticut. There, JFK assembled a mixed academic record, earning good marks in mathematics, English, and history (which was always his main academic interest) while failing Latin with a dismal 55. During the spring of his 8th grade year, JFK had an appendectomy and had to withdraw from Canterbury to recover. JFK eventually enrolled at Choate, a boarding and day school in Wallingford, Connecticut, for his high school years, starting in 1931. His older brother, Joe, Jr., was also at Choate for JFK’s freshman and sophomore years, and JFK tried to get out from behind Joe’s shadow, in part by carrying out pranks. While at Choate, JFK exploded a toilet seat with a firecracker. After this incident, headmaster George St. John held aloft the damaged toilet seat in the chapel and referred to the perpetrators of this antic as “muckers.” Kennedy, ever a joker, founded the “Muckers’ Club,” a social group that included his friends and partners-in-crime. In addition to being a prankster, JFK played football, basketball, and baseball at Choate, and he was the business manager of his senior yearbook. In his senior year, he was also voted “most likely to succeed.” According to his yearbook, he was 5’11” and weighed 155 pounds upon graduation, and his nicknames were recorded as “Jack” and “Ken.” Despite his achievements and popularity, during his years at Choate, he also suffered from continual heath problems, and he was hospitalized at Yale and at other institutions for colitis and other problems. A note about the school’s name: In JFK’s day, the school was known simply as Choate, and it became Choate Rosemary Hall when Choate merged with Rosemary Hall, a girls’ school, in 1971. There is no doubt that Choate left a significant impression on Kennedy, and the release of recent archival documents shows that this impression may have been greater than previously understood. Recent reports by CBS news and other news outlets that cite a book by television host Chris Matthews suggest that Kennedy’s famous speech that includes the line “Ask not what your country can do for you – ask what you can do for your country” may have been in part a reflection of a Choate headmaster’s words. Headmaster George St. John, who gave sermons that JFK attended, included similar words in his speeches. A few years ago, an archivist at Choate named Judy Donald found one of St. John’s notebooks in which he wrote about a quote from a Harvard dean who said, “The youth who loves his Alma Mater will always ask, not ‘What can she do for me?’ but ‘What can I do for her?’” St. John was often heard to say, it’s "not what Choate does for you, but what you can do for Choate," and Kennedy may have used this phrasing, adapted from his headmaster, in his famous inaugural address, delivered in January of 1961. Some historians are critical of the idea that Kennedy could have lifted the quote from his former headmaster. In addition to this recently unearthed notebook kept by headmaster George St. John, Choate holds voluminous records related to JFK’s years at the school. The Choate Archives include about 500 letters, including correspondence between the Kennedy family and the school, and books and photos of JFK’s years at the school. Perhaps even JFK would not have met Harvard’s stringent admissions criteria today, but there is no doubt that although he wasn’t always a serious student at Choate, the school played an important part in his formation. At Choate, he showed, even at age 17, some of the characteristics that would make him a charismatic and important president in later years — a sense of humor, a way with words, an interest in politics and history, a connection to others, and a spirit of perseverance in the face of his own suffering. What Was Lee Harvey Oswald's Motive to Kill President Kennedy?